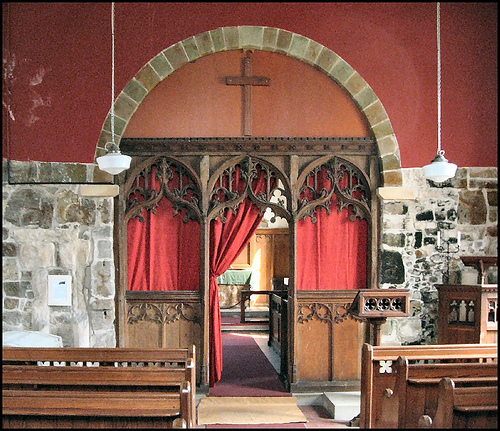 New Liturgical Movement: Should It Be Curtains for the Rood Screen? If you consult Eamon Duffy’s The Stripping of the Altars, you will note that an integral part of the Pre-reformation rood screen was the curtain. During various parts of the liturgy this was opened and closed, thus revealing and hiding the liturgical action at the altar. Note the similarity here with the Royal Doors of the iconostasis! The only picture I could find of a rood screen with curtains was used by the Orthodox Western Rite. Of course, we should remember why the rood screen fell away in the 16th and 17th century in the Roman Rite - it was in response to the Council of Trent, which, while not mandating their removal did ask for greater visibility. It’s a judgement call! This is not surprising when one recalls that in the English Church in the pre-Great Schismatic era there were many Byzantine influences. Theodore, Archbishop of Canterbury, was a monk of the Eastern rite sent by the Pope to be Archbishop of Canterbury - he brought with him his ecclesiastical household. 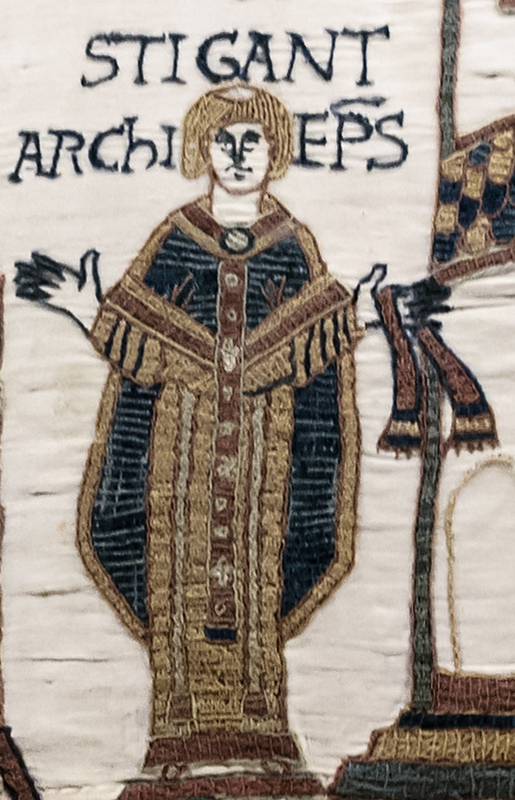 Four hundred or so years later look at the Bayeux tapestry, the Archbishop of Canterbury is portrayed in Eastern rite vestments rather than those of the Latin West!